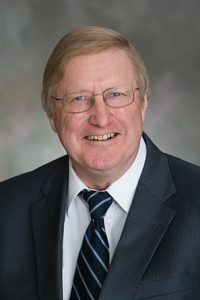 The Judiciary Committee heard testimony March 1 on a bill that would clarify the intent of Nebraska’s deadly weapon statute. Currently, Nebraska statute considers possession of any knife with a blade over 3.5 inches to be a deadly weapon, regardless of the owner’s intent. LB558, sponsored by Columbus Sen. Paul Schumacher, would clarify that the intended use of a knife over 3.5 inches should be considered when charging a person with a crime. If a person purchased a knife set as a wedding present and had it gift wrapped, Schumacher said, it currently would be considered a concealed deadly weapon under state law. If that same person were to commit an unrelated crime while the knife set remained in his or her vehicle, Schumacher said, they would be guilty of a felony. Spike Eickholt, representing the ACLU of Nebraska, supported the bill, saying current law is simply too broad. He said prosecutors and law enforcement officers are charging people with felony possession of knives, regardless of intent. Those felony charges will follow people throughout life and affect future job searches, Eickholt said. There was no opposition testimony and the committee took no immediate action on the bill.